HARRISONVILLE, Mo. 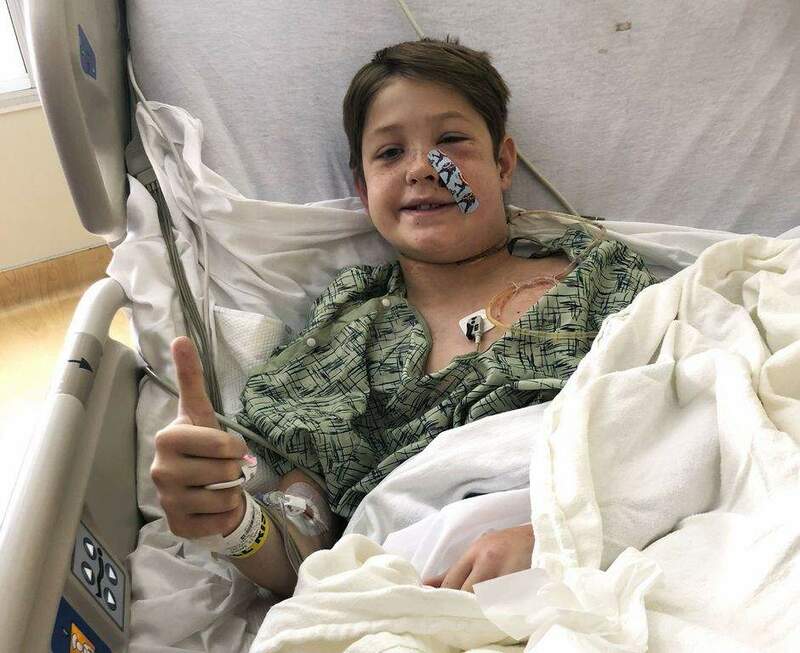 – A 10-year-old Missouri boy is recovering after he was attacked by insects and tumbled from a tree, landing on a meat skewer that penetrated his skull from his face to the back of his head. Information from: The Kansas City Star.